Woerner 1041 shown here (unfinished). Actual piece is stained and finished. 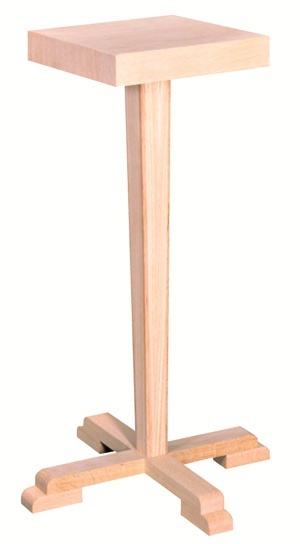 This Woerner Flower Stand has graceful form and a sturdy base. The flower stand is crafted using red oak and red oak veneer. The companion pieces for the flower stand include a lecterns, altars, prie dieu kneelers, communion tables, pulpits, baptismal fonts, candle sticks, table top lecterns, deposit box, pamphlet rack, hymn book holders and a bible stand. The Woerner 1044 Flower Stand is designed for any application. Also available unfinished (item 1247).